Last but not least our last Whimbrel KU decided to move south after staying at the Yellow Sea for 50 days! And even more interesting it decided to join KS in South East Sulawesi! 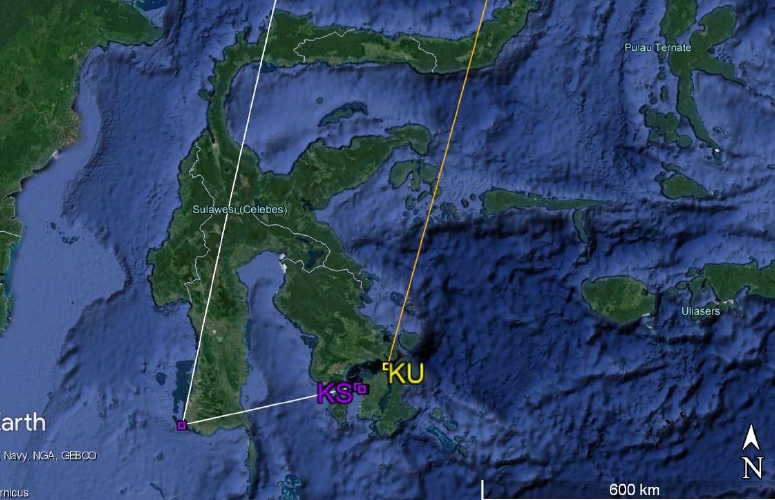 To a surprise, KU joined KS to stop-over at South-east Sulawesi, they are only 60km apart from each other at the moment! It is amazing to see these 2 birds once again utilizing similar stop-over site. Follow the link through to update 14 of the 2017 AWSG satellite transmitter project to read the latest on the progress of the tagged Whimbrel!